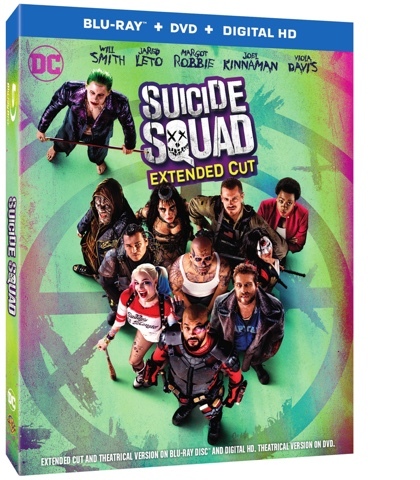 Something to Muse About: Suicide Squad Extended Cut is coming to Digital HD on November 15, and Ultra HD Blu-ray™, Blu-ray™ 3D Combo Pack, Blu-ray™ Combo Pack and DVD on December 13! 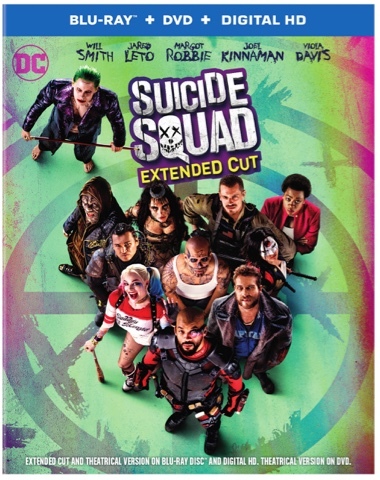 Suicide Squad Extended Cut is coming to Digital HD on November 15, and Ultra HD Blu-ray™, Blu-ray™ 3D Combo Pack, Blu-ray™ Combo Pack and DVD on December 13! On November 15, “Suicide Squad” will be available to own for streaming and download to watch anywhere in high definition and standard definition on favorite devices from select digital retailers including Amazon, CinemaNow, Flixster, iTunes, PlayStation, Vudu, Xbox and others. On December 13, “Suicide Squad” will be made available digitally on Video On Demand services from cable and satellite providers, and on select gaming consoles. Warner Bros. Home Entertainment (WBHE) brings together Warner Bros. Entertainment's home video, digital distribution and interactive entertainment businesses in order to maximize current and next-generation distribution scenarios. An industry leader since its inception, WBHE oversees the global distribution of content through packaged goods (Ultra HD Blu-ray Disc™, Blu-ray Disc™ and DVD) and digital media in the form of electronic sell-through and video-on-demand via cable, satellite, online and mobile channels, and is a significant developer and publisher for console and online video game titles worldwide. WBHE distributes its product through third party retail partners and licensees.